The enchantment begins each morning you wake to the sun shimmering over the surface of the water. A million facets like diamonds draw your eye to the water, casting its spell upon you. Enjoy breakfast on the patio joined by the sound of birds in the trees. Everything is provided to make my house your home. Just bring your own fresh linens and towels. 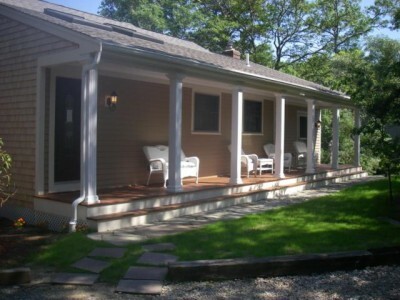 3-bedroom 1 and ½ bath house offers a tranquil setting for a summer vacation.